SWITZERLAND, Zurich — Based on breaking news and events, it appears that CIA Headquarters beneath Lake Geneva is plotting a wave of terror in Israel that will predictably be scapegoated onto Palestinians and/or the state-sponsored terror groups known as Al Quds Force, Hamas, Hezbollah and/or ISIS. That being said, the CIA may resort to “Plan B” which will likely feature Syrian-based rocket attacks, terror attacks and/or the full-scale invasion of Israel by Russian-backed Syrian forces. Naturally, “Plan B” is designed to draw the U.S. into a war with Russia, sparking World War III. Nevertheless, breaking news suggests that Bethlehem and/or the Temple Mount and its Dome of the Rock in Jerusalem are the primary targets in the impending wave of state-sponsored terror. This notion is corroborated by the fact that Israeli police and Palestinian protesters have been clashing at the Temple Mount since September 12, 2015. Exactly what type of terror is planned for the apartheid state of Israel is not known, but 9/11-style attacks, beheadings, car bombings, conventional bombings, gun-related massacres, and/or suicide bombings are the most likely terror scenarios. That being said, Islamic terror attacks and/or hostage crisis targeting Israeli tour buses and trains may be imminent. 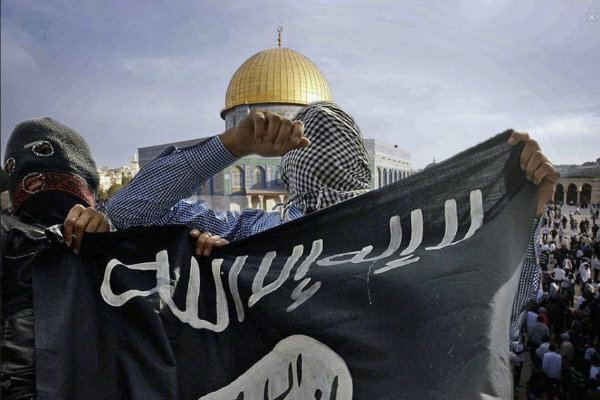 The notion that Islamic terror attacks are planned for Israel was witnessed back on October 1, 2015, when Israeli intel allegedly thwarted the first known ISIS terror plot inside the Jewish state. Needless to say, a second ISIS-related terror attack in Israel is now forthcoming. In what appears to be more pre-ISIS terror attack terror programing for Israel, it was reported back on October 23, 2015, that ISISI threatened Israel in new video that was coincidentally in Hebrew. Translation: Jewish terrorists are about to unleash a wave of terror in Israel which will be blamed on ISIS. In what appears to be a preview of Israeli terror to come, it was reported on December 14, 2015, that 14 people were injured in terror attack at bridge to the entrance of Jerusalem. The bridge may now be rigged to blow during an upcoming attack, most likely when being crossed by a tour bus. Three days later on December 17, 2015, the U.S. State Department issued a travel warning for American citizens traveling in Israel. Consequenly, Christians tourists in the Holy Land will likely be targeted on tour buses or while visiting Biblical tourist attractions in Bethlehem and/or Jersusalem. In order to provide a timely motive for Islamic terror attacks in Israel, it was reported 3-days later on December 17, 2015, that Hezbollah has vowed retaliation over the alleged killing of a terrorist commander due to an Israeli air strike. Consequently, a state-sponsored Islamic terrorist attack and/or invasion from Lebanon may now be in order. The notion that a CIA-spawned invasion of Israel via Lebanon is planned was foreshadowed by a Times of Israel report on December 24, entitled “If Hezbollah Attacks, Go to War with Lebanon, Ex-National Security Adviser Urges“. Needless to say, the former IDF operations chief Giora Eiland is a rabid Zionist who should be arrested and imprisoned for attempting to incite genocide. The notion that Biblical tourist attracitions in Israel will suffer state-sponsored terror attacks was confirmed on Christmas Eve, December 24, 2015, when Fox News published a report entitled “Christmas Eve Danger: Troops Attacked as Tourists Flock to Bethlehem“. Consequently, coordinated attacks on tourists by IDF troops posing as ISIS terrorits are likely now in order. In order to associate Palestinians (and thereby terror) with Bethlehem just prior to a wave of state-sponsored terror, the Times of Israel published a report on Christmas Day, December 25, 2015, entitled “Palestinians Beef up Bethlehem Security Amid Fears of IS Attack“. Said security likely consists of Israeli IDF or Mossad members who will execute the impending attacks. In what appears to be one of the slated ISIS terror targets within Israel, it was reported on Christmas Day, December 25, 2015, that an Israeli tour bus pelted with stones. The bus was allegdly carrying Israeli students on a tour of the West Bank city of Hebron. Whether the timely attack provided the neccesary cover for the installation of weapons and/or explosives within the tour bus is not known, but it’s highly likely. Said weapons and/or explosives could be utilized at a later date in a coordinated state-sponsored terror attack. Lastly, the notion that state-sponsored ISIS terror attacks are planned for Israel was confirmed by a timely TIME report from December 26, 2015, entitled “ISIS Leader Reportedly Warns Israel ‘We Are Getting Closer to You’” .The report quotes alleged ISIS leader Abu Bakr al-Baghdadi who allegedly stated “Do not think that we have forgotten about you”. The notion that the state-sponsored terror group known as Hamas is plotting a wave of terror in Israel was confirmed back on September 15, 2015, when the Times of Israel published a report entitled “Hamas: Israeli Actions on Temple Mount are ‘Declaration of War’”. In what appears to be an ominous sign of Israeli terror to come, it was reported on September 17, 2015, that an Israeli bus caught fire in a Jerusalem terror attack. Although Israelis will die in the upcoming wave of terror, future bus-related terror attacks will likely target Christian tourists in Jerusalem. That same day, September 17, 2015, the Times of Israel published a report entitled “Anticipating More Violence, IDF Deploys Iron Dome in Ashdod”. Translation: a wave of missiles are about to land in Israel, hence the deployment of Iron Dome which gives Israeli officials plausible deniability in the aftermath of the attacks. A day later on September 18, 2015, it was reported that 4 border guard police were hurt in a Jerusalem terror attack. The timely attack was designed to show that Israel’s border are vulnerable to terrorists just prior to a wave of unprecedented terror attacks in Israel emanating from the Gaza Strip and/or the West Bank. That same day, September 18, 2015, Reuters reported that Israel has boosted security in Jerusalem’s Old City. Translation: Israel has deployed Mossad terrorists into Jerusalem which will execute an upcoming wave of terror attacks that will subsequently be blamed onto Palestinian terrorists. In order to provide a timely motive for a wave of Palestinian terror attacks in Israel, it was reported on September 23, 2015, that the IDF shot an 18-year old Palestinian woman 10 times and then let her die in the street. Although the IDF routinely executes Palestinians, and has no qualms doing so, the photo of the alleged assassination appears to have been staged by the CIA in order to enrage the Palestinian people just prior to a wave of terror attacks for which they will be blamed. Roughly a week later on September 27, 2015, the Times of Israel published a report entitled “The Palestinian Bubble is About to Burst”, confirming, albeit in a de facto manner, that the Israel-Palestine conflict is about to explode, namely due to horrific terror attacks. That same day, September 27, 2015, it was reported that the aforementioned clashes between Israelis and Palestinians erupted once again at Jerusalem’s Al-Aqsa mosque. Needless to say, the clashes between worshippers and security forces are state-sponsored in nature. A day later on September 28, 2015, Yahoo News published a report entitled “World Bank Warns of ‘High Risk’ of Israel-Palestinian Conflict” which was designed to draw global attention to the Israel-Palestine conflict just prior to a wave of horrific state-sponsored terror attacks. That same day, September 28, 2015, it was once again reported that Palestinians clashed with Israeli riot police at holy Temple Mount site. Consequently, attacks on Jews and Muslims at the Dome of the Rock are now expected. A day later on September 29, 2015, the Times of Israel published a report entitled “Egyptian Leader: Palestinian Plight a Major ‘Pretext’ for Terror”, confirming, albeit in a de facto manner, that war between Israel and Palestine is imminent. The notion of terror attacks in Israel was witnessed on October 1, 2015, when it was reported that an Israeli couple was killed in a West Bank shooting attack. Although only conjecture, it’s highly likely that the couple in question were assassinated in the wake of a foiled false-flag terror plot. Dead men tell no tales. In order to highlight the Israeli-Palestinian conflict just prior to a state-sponsored terror attack in Gaza, Israel or the West Bank, it was reported on October 4, 2015, that Prime Minister Netanyahu stated that Israel is in a fight to the death against Palestinian terror. A day later on October 5, 2015, Yahoo New published a report entitled “Violence Intensifies in Jerusalem, West Bank, Raising Security Concerns, further confirming, albeit in a de facto manner, that fresh terror attacks are indeed planned for Israel. Two days later on October 7, 2015, said terror attacks manifested in reality when it was reported one person was injured in a stabbing attack outside of Tel Aviv. Needless to say, the attack has set the precedent for far deadlier terror attacks in Israel. In what appears to be a pre-Israel terror logistics, it was reported on October 8, 2015, that Israeli military personal are now being disguised as Palestinian stone-throwers. Consequently, future terror attacks in Israel by alleged Palestinian stone throwers will in fact be committed by undercover Israeli military personal. In order to draw unprecedented international media attention to Israel just prior to a wave of allegedly Islamic terror attacks, it was reported on October 12, 2015, that a Gaza cleric has called on Palestinians to stab Jews and to “cut them into body parts”. That same day, October 12, 2015, Israel vowed to defeat “knife terror” after a wave of new attacks. Aside from providing the Israeli government plausible deniability in the wake of new attacks, the report foreshadows that the impending wave of terror in Israel may be blade-related (e.g., beheadings). In what appears to be a preview of Israeli terror to come, it was reported on October 13, 2015, that three Israelis were killed in attacks in Jerusalem. Needless to say, these attacks have set the precedent for far deadlier attacks in Gaza, Israel and/or the West Bank. In what appears to be a preview of Israeli terror to come, it was also reported on October 13, 2015, that Israel was rocked by wave of terror attacks in which three Palestinians were killed. Lastly, four days later on October 17, 2015. Israelis killed 3 more Palestinians as violence reportedly raged. Roughly 2-weeks later on November 2, 2015, Palestinians allegedly stabbed an 80-year-old woman. Six days later on November 8, 2015, a Palestinian woman allegedly stabbed an unsuspecting Israeli security guard at a checkpoint. A day later on November 9, 2015, a Palestinian woman was allegedly shot and killed in an attempted attack. In order to highlight ISIS on an international level just prior to unprecedented terror attacks in Israel, it was reported on October 1, 2015, that Israeli Prime Minister Benjamin Netanyahu predicted that Arab countries will align with Israel against Iran and ISIS. The notion that false-flag attacks (i.e., Israeli terror attacks on Israeli citizens) are planned for Israel was once confirmed on October 13, 2015, when the Times of Israel reported that an Israeli man stabbed a Jew after mistaking him for Arab. The man was likely involved in a foiled terror plot and subsequently therefore terminated. Five days later on October 18, 2015, an IDF soldier was killed by Israeli police at a bus station in Israel. The attack may have been a Roman-like blood sacrifice offered up to a successful terror attack on Israeli mass transit such as buses and trains. This very notion was confirmed on October 18, 2015, when it was reported that IDF troops boosted security on Jerusalem buses and trains. Consequently, Israeli Mossad agents and/or ISIS terrorists are now in place to execute the upcoming wave of bus and train-related terror in Israel. The second notion that false-flag attacks (i.e., Israeli terror attacks on Israeli citizens) are planned for Israel was once again confirmed on October 22, 2015, when Israeli soldiers killed Jew mistaken for a Palestinian ‘terrorist’. The man was likely involved in a foiled terror plot and was subsequently terminated. In order to provide a timely motive for a Russian and/or Syrian-based terror attack and/or invasion of Israel, it was reported a day later October 24, 2015, that Israel may have attacked Hezbollah in Syria. Needless to say, a revenge-like attack is now forthcoming. In what appears to be pre-Syrian terror attack/invasion programing, it was reported on October 25, 2015, that an ‘Israeli-Arab paraglider’ was caught trying to fly into Syria. Considering that Netanyahu accused the man of trying to joining ISIS, a Syrian-based ISIS attack on Israeli appears imminent. Needless to say, these reports, taken collectively, suggest that ISIS and/or Palestinian-based terror attack in Israel is imminent. Although state-sponsored terror attacks to spark the Israel-Palestine conflict are imminent, the CIA has created a second terror narrative in respect to Israel, a “Plan B” if you will. Exactly what “Plan B” is is not known, but it will apparently involve rocket attacks, terror attacks and/or the full-scale invasion of Israel via Syria. This terror narrative was first identified back on September 26, 2015, when it was reported that Syria is arming Hezbollah with 75 Soviet-era tanks, all of which will likely cross the border into Israel within the next days. In the event of a Russian-backed Syrian attack on Israel, the U.S. will come to Israel’s defense, sparking World War III between the U.S. and Russia in Israel. Predictably, this war will be sold as Armageddon, bringing about the End Times. A day later on September 27, 2015, it was reported that the IDF shelled Syrian army posts after stray rockets hit Israel, providing a timely motive for a revenge attack on Israel by Syria. Lastly, on September 29, 2015, the Times of Israel published a report entitled “Israeli Strikes in Syria May Draw Russian Grousing, but Little Else”, further associating Israel with both Russia and Syria just prior to a wave of false-flag attacks. Needless to say, these reports, taken collectively, suggest that a Syrian-based attack on Israel is imminent. 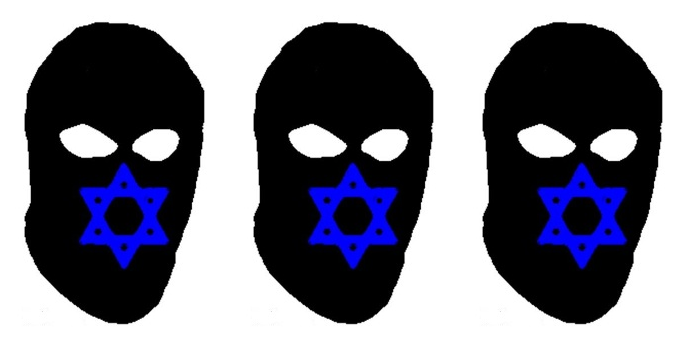 In order to acclimate Jews and Israelis for an unprecedented wave of terror attacks in Israel, a number of false-flag domestic terror attacks have transpired in Israel as of late. This Israeli home-grown terror narrative was first identified back on July 30, 2015, when 6 people were stabbed by a Jewish terrorist at a Jerusalem gay pride march. A few days later on August 2, 2015, a 16-year-old gay pride marcher reportedly died from his stab wounds. In order to highlight dead Jews prior to horrific Iranian terror attacks in Israel, it was reported on July 31, 2015, that more than 100 gravestones were toppled at an historic Jewish cemetery in Philadelphia. That same day, July 31, 2015, another Jewish terrorist reportedly burned Palestinian child to death in the West Bank. In order to put the aforementioned terror attack directly in the international spotlight just prior to a wave of Iranian terror attacks in Israel, it was also reported on July 31, 2015, that both the EU and the U.S. State Department condemn the “vicious” West Bank arson attack. Roughly a week later on August 6, 2015, traitorous Inforwars published a report entitled “Burning of Christian Churches in Israel Justified, Far-Right Jewish Leader Says”, further raising the notion of domestic terrorism in Israel. Three days later on August 9, 2015, it was reported that Israel has jailed two more far-right Jews, further raising the specter of Israel-based terror attacks. That same day, August 6, 2015, the former president of Argentina went on trial for the 1994 bombing of Jewish center, raising the specter of Jewish terror attacks on an international level. Three days later on August 9, 2015, it was reported that Israel jailed two more far-right Jews without a trial, drawing even more attention to the aforementioned terror attacks. SWITZERLAND, Zurich — Based on breaking news and events, it appears that CIA Headquarters beneath Lake Geneva is plotting a wave of terror attacks in Israel that will predictably be scapegoated onto Palestinians and/or the state-sponsored terror groups known as Al Quds Force, Hamas, Hezbollah and/or ISIS. 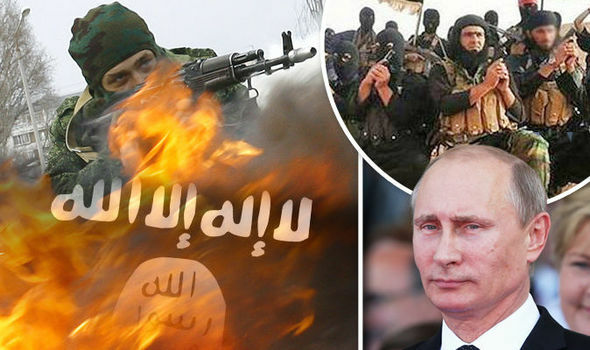 That being said, the CIA may have to resort to “Plan B” which will likely feature Syrian-based rocket attacks, terror attacks and/or the full-scale invasion of Israel by Russian-backed Syrian forces. Naturally, “Plan B” is designed to draw the U.S. into a war with Russia, sparking World War III. Nevertheless, breaking news suggests that the Temple Mount and its Dome of the Rock in Jerusalem are the primary targets in the impending wave of state-sponsored terror. This notion is corroborated by the fact that Israeli police and Palestinian protesters have been clashing at the Temple Mount since September 12, 2015. Exactly what type of terror is planned for the apartheid state of Israel is not known, but 9/11-style attacks, beheadings, car bombings, conventional bombings, gun-related massacres, and/or suicide bombings are the most likely terror scenarios. That being said, Islamic terror attacks on Israeli buses and trains now appear to be in order. In order to highlight ISIS on an international level just prior to unprecedented terror attacks in Israel, it was reported on October 1, 2015, that Israeli Prime Minister Benjamin Netanyahu predicted that Arab countries will align with Israel against Iran and ISIS. The notion that false-flag attacks (i.e., Israeli terror attacks on Israeli citizens) are planned for Israel was once confirmed on October 13, 2015, when the Times of Israel reported that an Israeli man stabbed a Jew after mistaking him for Arab. The man was likely involved in a foiled terror plot and subsequently therefore terminated. Five days later on October 18, 2015, an IDF soldier was killed by Israeli police at a bus station in Israel. The attack may have been a Roman-like blood sacrifice offered up to a successful terror attack on Israeli mass transit such as buses and trains. This very notion was confirmed on October 18, 2015, when it was reported that IDF troops boosted security on Jerusalem buses and trains. Consequently, Israeli Mossad agents and/or ISIS terrorists are now in place to execute the upcoming wave of bus and train-related terror in Israel. The second notion that false-flag attacks (i.e., Israeli terror attacks on Israeli citizens) are planned for Israel was once again confirmed on October 22, 2015, when Israeli soldiers killed Jew mistaken for a Palestinian ‘terrorist’. The man was likely involved in a foiled terror plot and was subsequently terminated. In order to provide a timely motive for a Russian and/or Syrian-based terror attack and/or invasion of Israel, it was reported a day later October 24, 2015, that Israel may have attacked Hezbollah in Syria. Needless to say, a revenge-like attack is now forthcoming. Lastly, in what appears to be pre-Syrian terror attack/invasion programing, it was reported on October 25, 2015, that an ‘Israeli-Arab paraglider’ was caught trying to fly into Syria. Considering that Netanyahu accused the man of trying to joining ISIS, a Syrian-based ISIS attack on Israeli appears imminent. The notion that the state-sponsored terror group known as Hamas is plotting a wave of terror in Israel was confirmed back on September 15, 2015, when the Times of Israel published a report entitled “Hamas: Israeli Actions on Temple Mount are ‘Declaration of War’”. In what appears to be an ominous sign of Israeli terror to come, it was reported on September 17, 2015, that an Israeli bus caught fire in a Jerusalem terror attack. Although Israelis will die in the upcoming wave of terror, future bus-related terror attacks will likely target Christian tourists in Jerusalem. That same day, September 17, 2015, the Times of Israel published a report entitled “Anticipating More Violence, IDF Deploys Iron Dome in Ashdod”. Translation: a wave of missiles are about to land in Israel, hence the deployment of Iron Dome which gives Israeli officials plausible deniability in the aftermath of the attacks. A day later on September 18, 2015, it was reported that 4 border guard police were hurt in a Jerusalem terror attack. The timely attack was designed to show that Israel’s border are vulnerable to terrorists just prior to a wave of unprecedented terror attacks in Israel emanating from the Gaza Strip and/or the West Bank. That same day, September 18, 2015, Reuters reported that Israel has boosted security in Jerusalem’s Old City. Translation: Israel has deployed Mossad terrorists into Jerusalem which will execute an upcoming wave of terror attacks that will subsequently be blamed onto Palestinian terrorists. In order to provide a timely motive for a wave of Palestinian terror attacks in Israel, it was reported on September 23, 2015, that the IDF shot an 18-year old Palestinian woman 10 times and then let her die in the street. Although the IDF routinely executes Palestinians, and has no qualms doing so, the photo of the alleged assassination appears to have been staged by the CIA in order to enrage the Palestinian people just prior to a wave of terror attacks for which they will be blamed. Roughly a week later on September 27, 2015, the Times of Israel published a report entitled “The Palestinian Bubble is About to Burst”, confirming, albeit in a de facto manner, that the Israel-Palestine conflict is about to explode, namely due to horrific terror attacks. That same day, September 27, 2015, it was reported that the aforementioned clashes between Israelis and Palestinians erupted once again at Jerusalem’s Al-Aqsa mosque. Needless to say, the clashes between worshippers and security forces are state-sponsored in nature. A day later on September 28, 2015, Yahoo News published a report entitled “World Bank Warns of ‘High Risk’ of Israel-Palestinian Conflict” which was designed to draw global attention to the Israel-Palestine conflict just prior to a wave of horrific state-sponsored terror attacks. That same day, September 28, 2015, it was once again reported that Palestinians clashed with Israeli riot police at holy Temple Mount site. Consequently, attacks on Jews and Muslims at the Dome of the Rock are now expected. A day later on September 29, 2015, the Times of Israel published a report entitled “Egyptian Leader: Palestinian Plight a Major ‘Pretext’ for Terror”, confirming, albeit in a de facto manner, that war between Israel and Palestine is imminent. The notion of terror attacks in Israel was witnessed on October 1, 2015, when it was reported that an Israeli couple was killed in a West Bank shooting attack. Although only conjecture, it’s highly likely that the couple in question were assassinated in the wake of a foiled false-flag terror plot. Dead men tell no tales. In order to highlight the Israeli-Palestinian conflict just prior to a state-sponsored terror attack in Gaza, Israel or the West Bank, it was reported on October 4, 2015, that Prime Minister Netanyahu stated that Israel is in a fight to the death against Palestinian terror. A day later on October 5, 2015, Yahoo New published a report entitled “Violence Intensifies in Jerusalem, West Bank, Raising Security Concerns, further confirming, albeit in a de facto manner, that fresh terror attacks are indeed planned for Israel. Two days later on October 7, 2015, said terror attacks manifested in reality when it was reported one person was injured in a stabbing attack outside of Tel Aviv. Needless to say, the attack has set the precedent for far deadlier terror attacks in Israel. In what appears to be a pre-Israel terror logistics, it was reported on October 8, 2015, that Israeli military personal are now being disguised as Palestinian stone-throwers. Consequently, future terror attacks in Israel by alleged Palestinian stone throwers will in fact be committed by undercover Israeli military personal. In order to draw unprecedented international media attention to Israel just prior to a wave of allegedly Islamic terror attacks, it was reported on October 12, 2015, that a Gaza cleric has called on Palestinians to stab Jews and to “cut them into body parts”. That same day, October 12, 2015, Israel vowed to defeat “knife terror” after a wave of new attacks. Aside from providing the Israeli government plausible deniability in the wake of new attacks, the report foreshadows that the impending wave of terror in Israel may be blade-related (e.g., beheadings). In what appears to be a preview of Israeli terror to come, it was reported on October 13, 2015, that three Israelis were killed in attacks in Jerusalem. Needless to say, these attacks have set the precedent for far deadlier attacks in Gaza, Israel and/or the West Bank. In what appears to be a preview of Israeli terror to come, it was also reported on October 13, 2015, that Israel was rocked by wave of terror attacks in which three Palestinians were killed. Lastly, four days later on October 17, 2015. Israelis killed 3 more Palestinians as violence reportedly raged. Roughly 2-weeks later on November 2, 2015, Palestinians allegedly stabbed an 80-year-old woman. Six days later on November 8, 2015, a Palestinian woman allegedly stabbed an unsuspecting Israeli security guard at a checkpoint. A day later on November 9, 2015, a Palestinian woman was allegedly shot and killed in an attempted attack. Needless to say, these reports, taken collectively, suggest that a Palestinian-based terror attack in Israel is imminent.